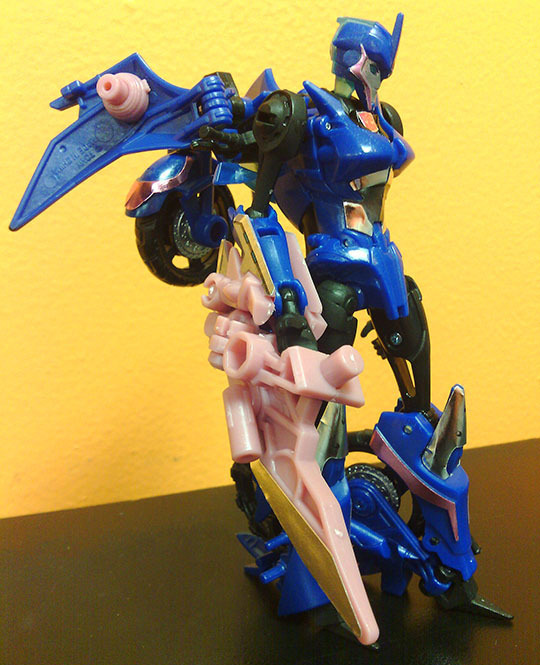 I was watching a few of Youtube video reviews about the Takara Tomy version for the Transformers Prime Deluxe Class Arcee and the all them recommend that version over the US Hasbro R.I.D. version. So i ordered it off eBay and just got it in hand today. 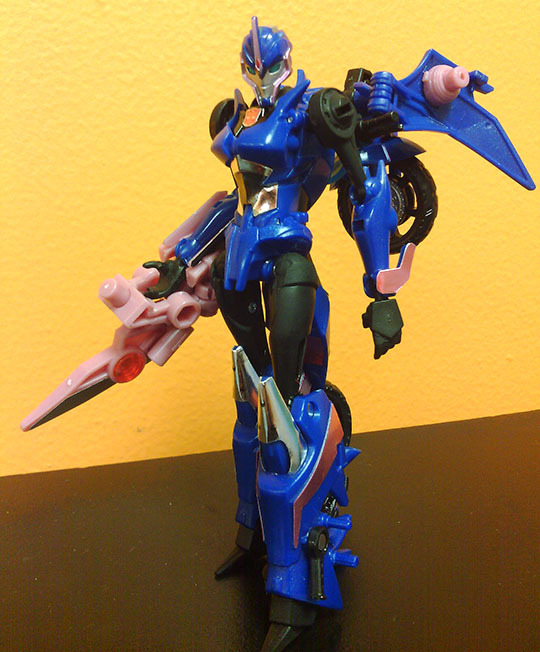 Arcee comes in a really cool looking box. Honestly, too much packaging just for bike if you ask me. 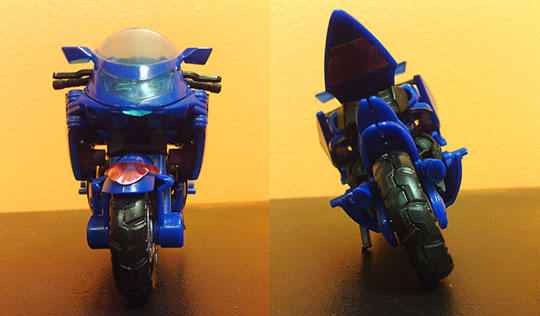 Once you pull out the interior box, you’ll notice Arcee bagged in a little cube hole in bike mode. 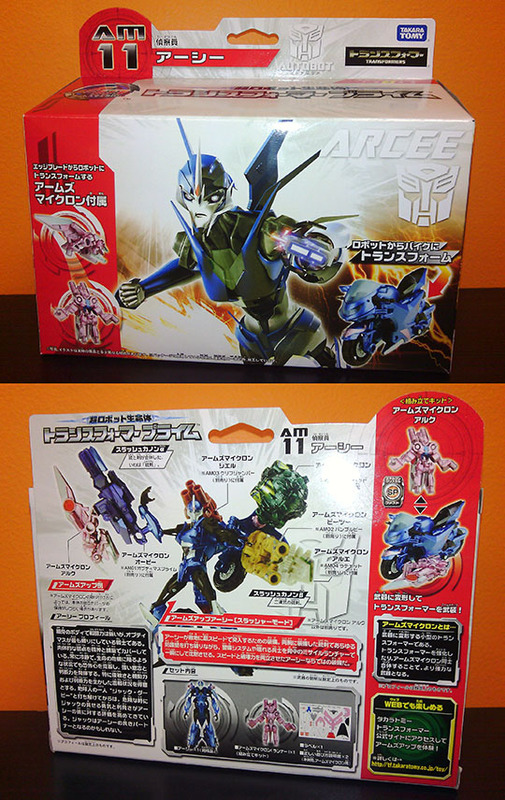 Further inside are instructions sheets for Arcee & her Arms Micron, and an advertising sheet for other figures in the line. 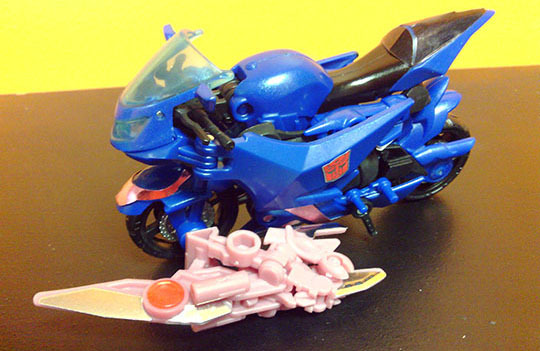 You’ll notice a plastic runner with all the Arms Micron parts you need to cut out and assemble according to its instruction sheet. Felt like I was building a Gundam kit. Lastly, decals for added color which I was really excited to apply. 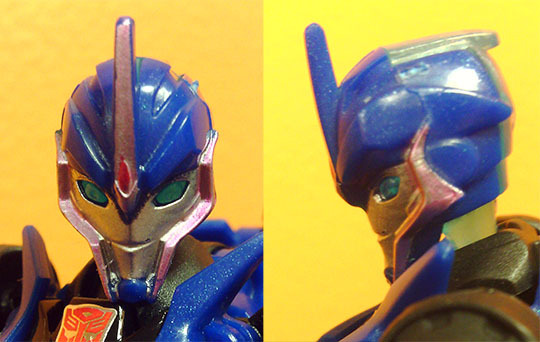 The overall blue used for Arcee is much deeper and has a hint of sparkle to it. 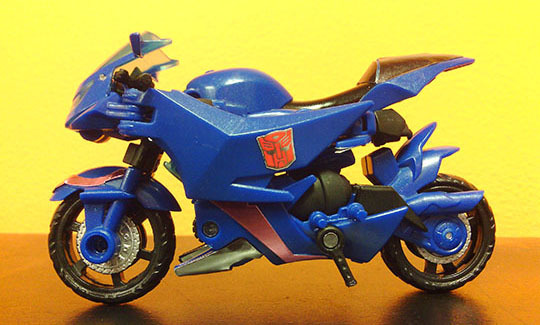 Bike mode is awesome. 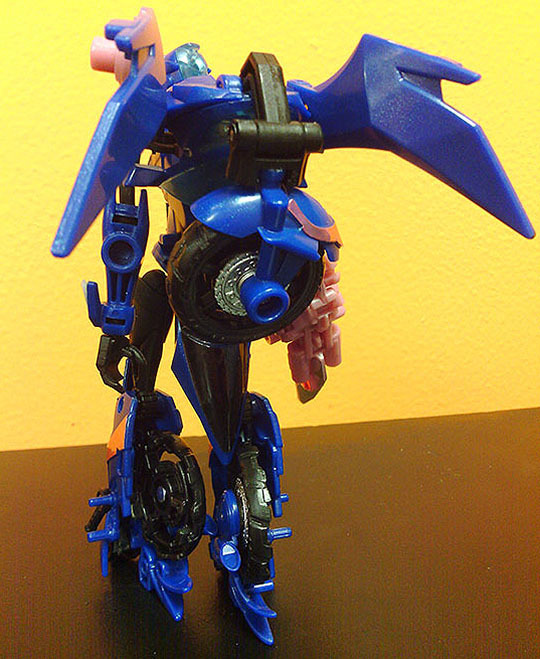 Robot mode is amazing as she sports a lean female physique. She doesn’t come with pink decals for those lightning bolts on the side of her face and the forehead horn so I grabbed a pink Sharpie to fill in the missing color. 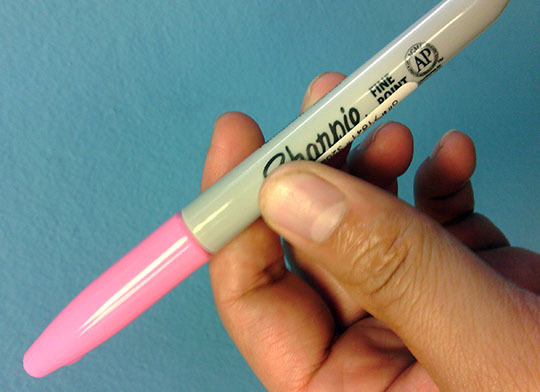 1 thing to point out is the Sharpie will go on transparent and will coat the silver underneath making it a metallic pink. 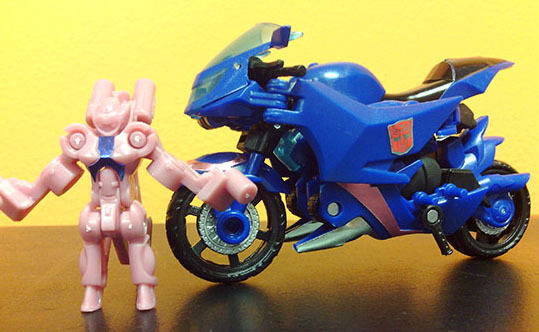 It matches perfect with the pink decals the toy comes with. Caution: Gentle apply with the Sharpie and don’t overcoat or you run the risk of causing the silver underneath to bleed off the mold. 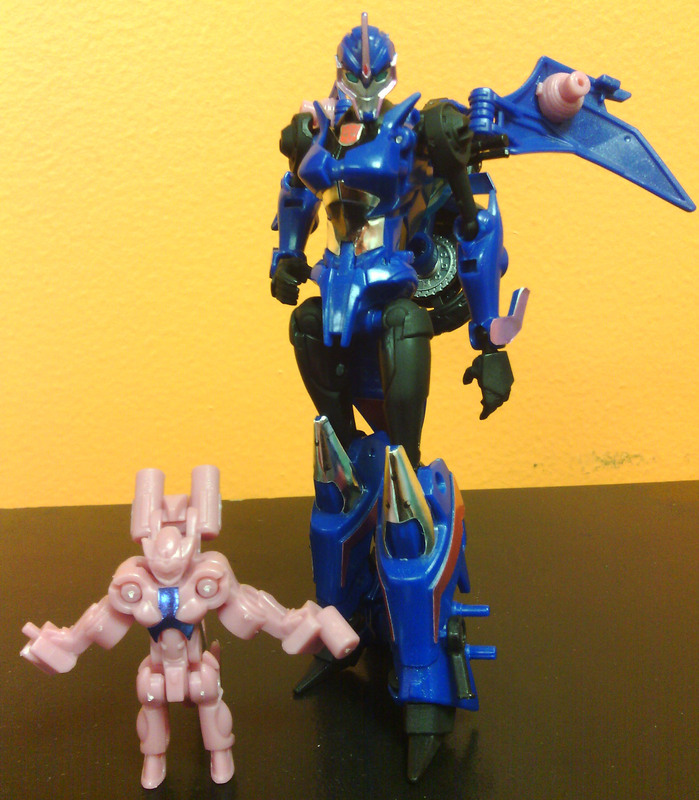 Her pink colored Arms Micron is tiny yet deadly when transformed into a blade weapon. You do have to deal with the chore of putting on the decals which don’t stick as strongly as you want but all in all, a much better toy compared to the US Hasbro version.